The Spark is a guide to living your best life. Created out of a desire to help people, each week we'll delve into interesting topics in the fields of psychology, health and wellness, motivation, and other concepts to give you tools to help spark new ideas and create a more fulfilling life. New episodes air Wednesdays at 7pm Mountain on NoCo Fm at www.noco.fm, and podcast episodes are released the same day. Host Stephanie James is a practicing psychotherapist and Licensed Clinical Social ... Maggiori informazioni Worker, who has practiced in Northern Colorado and Wyoming for over 20 years. 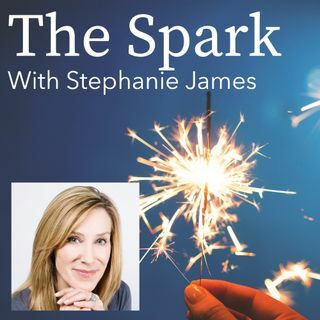 Learn more at the show's official website: www.thesparkpod.com.